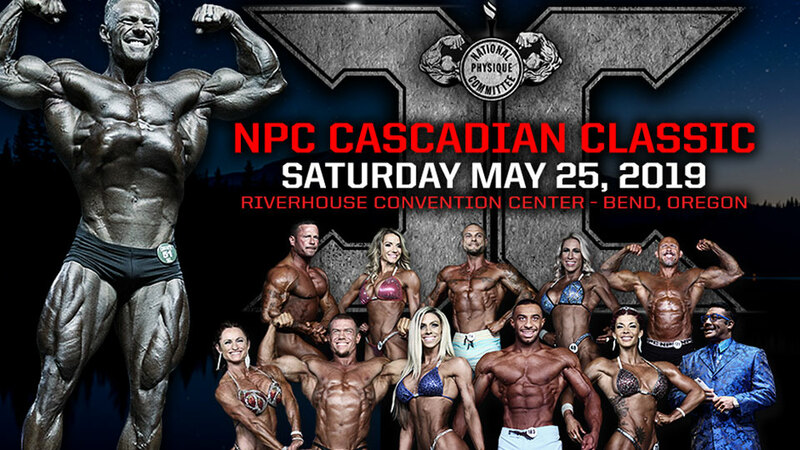 We are proud to bring The 2019 NPC Cascadian Classic to Bend, Oregon for the 5th year in a row. The Cascadian Classic will feature the best Fitness, Bodybuilding, Figure, Bikini, and Physique athletes from all over the Pacific Northwest including Washington, Oregon, Idaho, Alaska, Utah, and California. The Cascadian Classic is a National Qualifier for all athletes that are looking to compete at any of the National level competitions and earn their very own IFBB Pro status. The competition is broken up into two parts; Prejudging starts are 9am and doors open at 8:30 a.m. and the Evening Finals start at 6:00 p.m. and doors open at 5:00 p.m.. Tickets can be purchased online at www.cascadianclassic.com. David Paterik – David earned his IFBB Pro status by competing at the National Championships in Miami, Florida. He has since gone on and placed top 6 in his IFBB pro debut and is training now for his next Professional Competition in Vancouver, Canada and then on to the 2019 Mr. Olympia if he qualifies this year. Kim “Kong” Farrison – your emcee for the evening finals. Kim has been entertaining crowds at competitions all over the world and is bringing his style and grace to Bend, Oregon to also entertain the evening finals crowd and introduce athletes. The Cascadian Classic is a NPC (National Physique Committee) National Qualifier being part of the largest amateur organization for Bodybuilding, Fitness, Figure, Physique and Bikini athletes from all over the USA. The Cascadian Classic has brought the sport back to Bend, Oregon and continues to help promote Health & Fitness in and around Deschutes County.